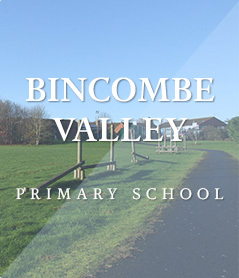 Welcome to the Bincombe Valley Primary School Website. I am really proud to be the Headteacher of this happy, exciting and developing school. The staff here are very dedicated and work incredibly hard to achieve the best possible outcomes for our amazing pupils. We also work closely with parents, carers and Governors to achieve this. At Bincombe Valley the love of learning is at the heart of everything we do and we look to offer exciting opportunities for inquisitive minds. Our learning environment is safe and nurturing. We are an inclusive school and aim to support every child, irrespective of starting point, to reach his or her potential. We hope that this website gives you a little flavour of our school and an insight into what it is like to be a part of our school community.